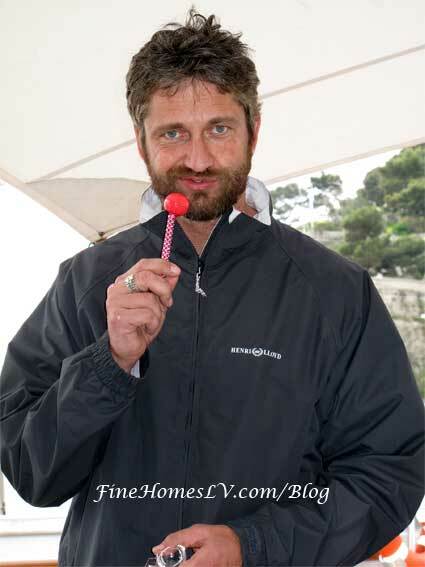 Actor Gerard Butler and culinary great Chef Daniel Boulud indulge in Sugar Factory ‘Berry Bling’ Courture Pops during their time in Monaco. 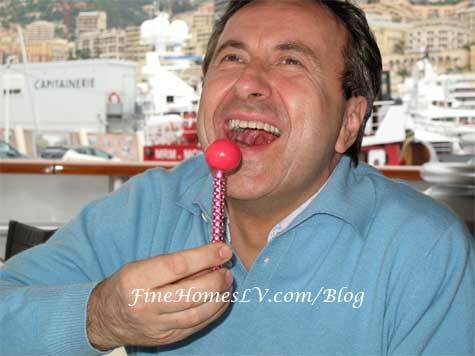 Butler and Chef Boulud enjoyed Sugar Factory’s “Berry Bling” edition of the Sugar Factory Couture Pop with a cherry lollipop top. All of Sugar Factory’s products are available online at www.SugarFactory.com, in addition to Sugar Factory’s two Las Vegas stores, located at Miracle Mile Shops at Planet Hollywood Las Vegas and The Mirage hotel. Sugar Factory will celebrate the grand opening of their flagship store located at Paris Las Vegas in the heart of the Las Vegas Strip later this year.